The base for these nails is Barry M - Lychee, Then I used Barry M - Bright Red, Barry M - Matt White, Barry M - Dragon Fruit, Barry M - White Nail Art Pen and Barry M - Black Nail Art Pen for the design, all topped off with Barry M - All in One Nail Paint. Step 6: Paint on a nose using Barry M - Dragon Fruit and finish off with a coat of topcoat to seal in your design, and you're done! These are lovely! 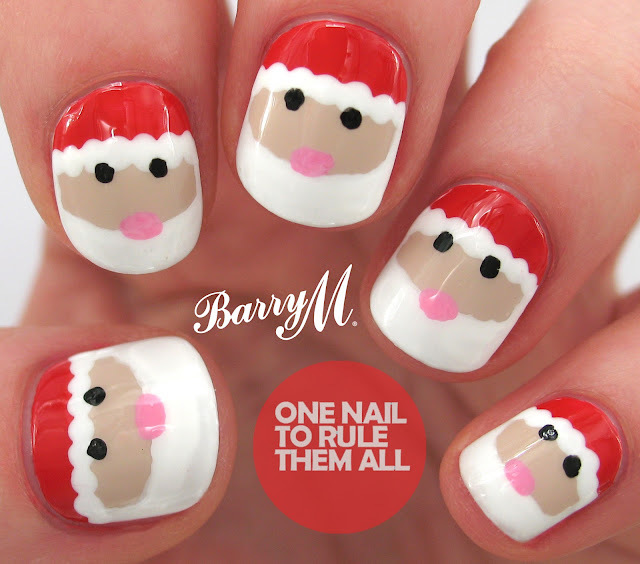 So cute and easy enough so that each nail will look the same, but detailed enough so that the Santa is instantly recognisable. 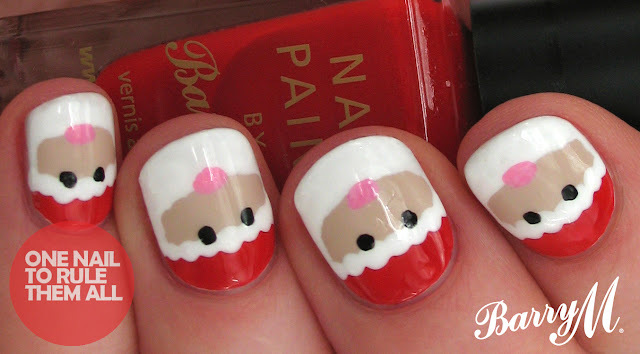 LOVE :D Gonna use this tutorial to go with the crochet santa I made! C'est adorable ! Ils sont vraiment trop mignons ces Pères Noël. Bravo ! Ohhhh my goodness. 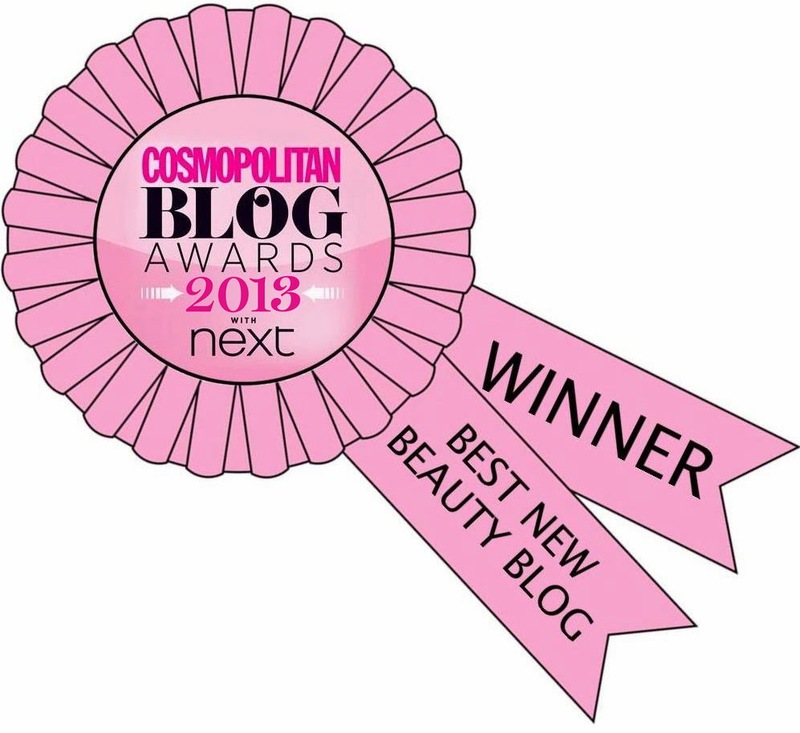 This is so cute!! Your photos are so perfect - clear and concisely cropped. Thanks for the consistent quality!